Ferrari factory original 1989 Ferrari Mondial T Brochure. This Ferrari brochure contains 28 pages in total that fold out to a staggering 10 feet or 3.25 meters in length, elaborating on the then new Mondial T.
Each page measures approximately 13 x 13 inches or 32 x 32 cm. 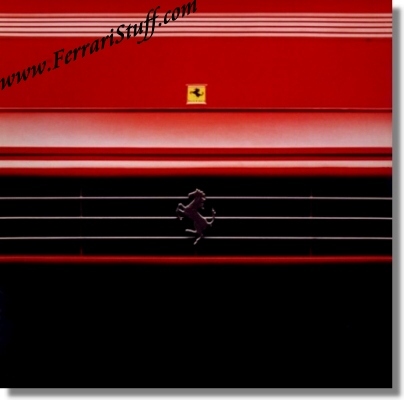 Ferrari Print Number 579/89 8M/11/89, issued in 1989, printed in November 1989 by Puntografico, Brescia, Italy. Very good overall condition but due to its enormous size it easily gets some handling wear.